When one thinks of working and living in the city, New York, Philadelphia, and Washington, D.C. may quickly come to mind. 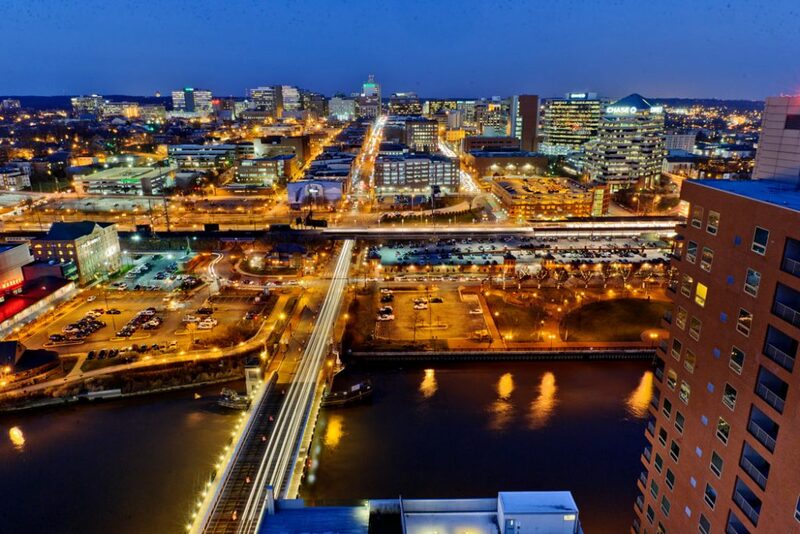 Also on the list is Wilmington, Delaware. Yes, that’s right. Wilmington has grown leaps and bounds in the past decade and has become a top-notch city in which to work and put down roots. Downtown Wilmington apartments put you right in the middle of the energy and opportunity that awaits residents and visitors of this riverfront city. Recently, Wilmington made the list of the best small cities to move to before they get too popular, and it’s easy to see why. Not only are the restaurants amazing and the entertainment venues great, but the major employers are in abundance. Amazon, Bank of America, and JP Morgan Chase are just a few of the employers that await you. If healthcare is your field, then our downtown Wilmington apartments should be your home! The Christiana Care Health System is expansive and hires staff at levels of varying experiences and job descriptions. Surgeons, nurses, techs, food services, and more make Christiana a vital part of the Wilmington community. Also at home in Wilmington is AstraZeneca, one of the country’s first operating pharmaceutical companies. Techies apply within! Wilmington has you covered as well with employers including Infosys Public Services, Accenture, and Tata Consultancy Services. And if tech, financial, and healthcare don’t offer enough employment opportunities, then head on over to the higher education category found at the University of Delaware. You will be hard pressed to find another small city with such economic and employment diversity. Even better is that, regardless of who your employer is, owning a car is simply not necessary. Many residents walk to work or take public transportation, which makes life so much more streamlined. Also, the Residences at Mid-Town Park are super close to SEPTA and Amtrak, so when work or life calls you out of Wilmington you are truly a train ride away from your next destination. Living in our downtown Wilmington apartments is an open door to unparalleled city life with all its conveniences. Come and see for yourself what all the fuss is about at the Residences at Mid-Town Park, our downtown Wilmington apartment homes. If walking to work, a long list of favorite restaurants, and unparalleled entertainment sounds appealing, then we have your next home waiting for you. Trust us when we say there is a reason why world-class major employers have made Wilmington their home base. Contact us to learn more!